We have made it easy for you and your student to view and select optional essays, such as scholarships, majors and programs. 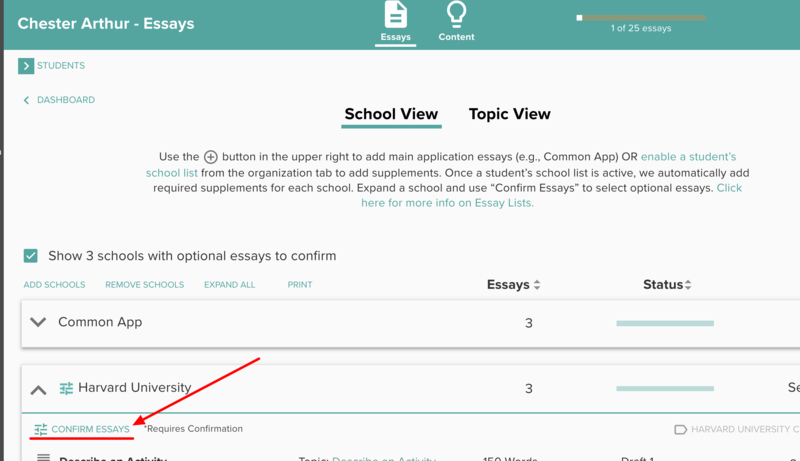 From inside a student's School View you will see how many school have optional essays. 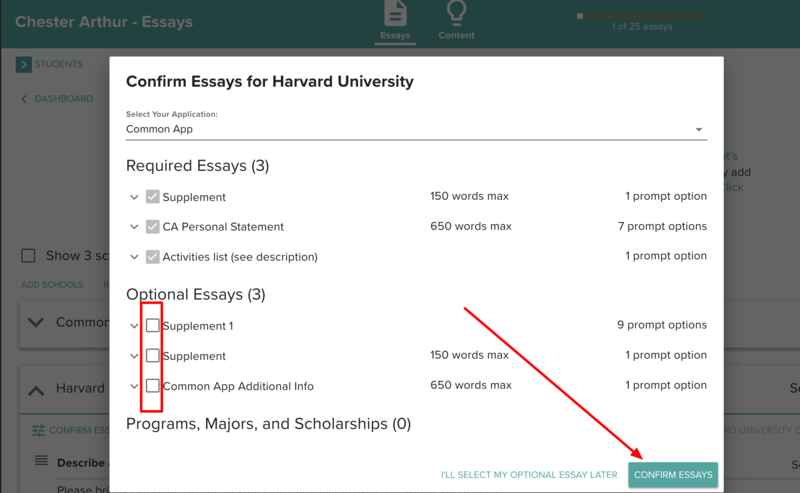 When you check the box to show those essays, each school with an optional essay will automatically expand. 2. From inside the expanded view select Confirm Essay. 3. This will open a pop-up that enables you to select which optional essays are relevant for your student. 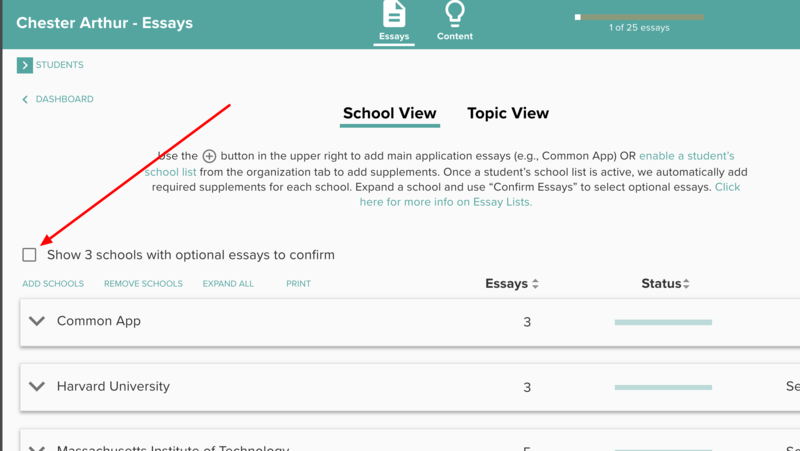 Once you have made the needed selections click Confirm Essays. Now those essays will display in the essay list.